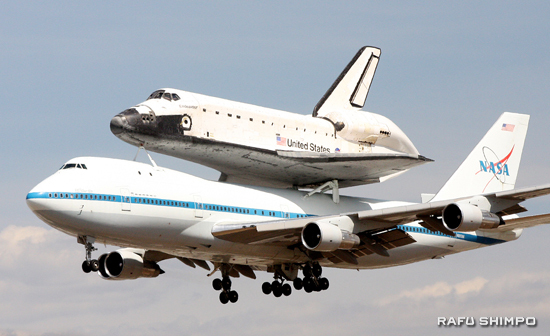 The space shuttle Endeavour makes its final landing Friday (above) touching down at Los Angeles International Airport. The former orbiter took a flight around the L.A. area before it becomes a permanent attraction at the California Science Center in Exposition Park. 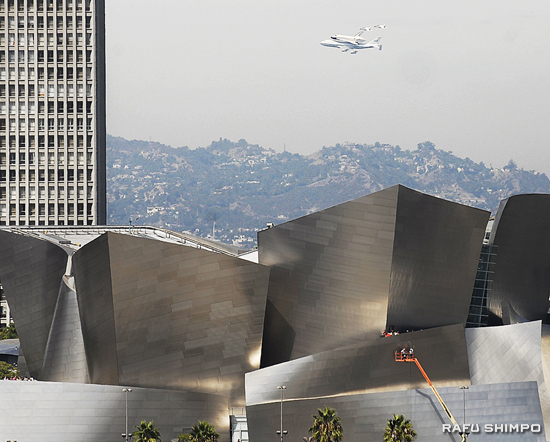 Below, the shuttle, on the back of a modified 747, soars beyond the Walt Disney Concert Hall.